The NFL may be part of the problems Papa John's faces, but it's far from the only one. The stock is down 24% this year, while competitors including Domino's (DPZ) have performed well (Domino's stock is up 12% this year). "This should have been nipped in the bud a year and a half ago," Schnatter said. "The controversy is polarizing the customer, polarizing the country." In response, Papa John's has pulled some of its planned commercials from NFL games this season. Schnatter said the NFL has promised to give the pizza company future spots in return. 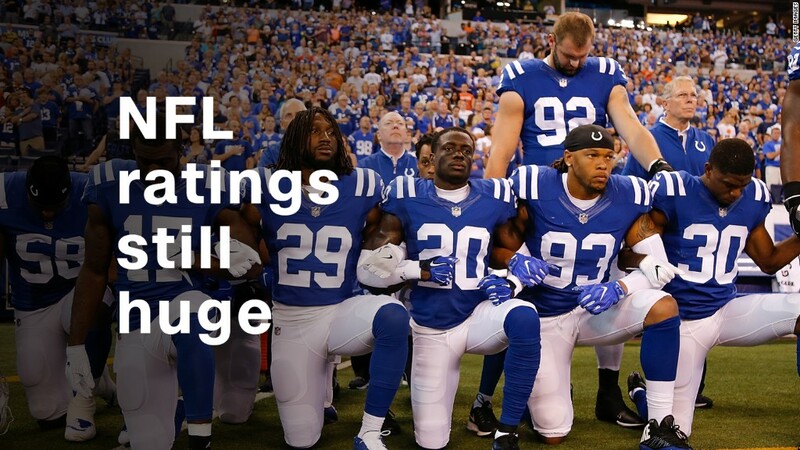 "It indeed appears that National Football League strife may be weighing on same-store sales to some degree, with Papa John's as the NFL's Official Pizza Sponsor bearing some brunt of this issue," Instinet analysts wrote in a research note Tuesday. "Sponsorship of NFL = No Free Lunch." Papa John's still expects sales to increase by 1.5% in North America this year, but that's down from its previous estimates. Shares of Papa John's (PZZA) tumbled 9% on the lowered estimates.